After spending some time scouring the web for tutorials on how to build a rig to mount my video camera on my kite I decided to write my own. I have two waterproof video cameras, a kodak zx3 and zx5, and needed a good way to mount one of them to the middle strut of my kite for overhead shots. I’ve seen videos from kitecams on the web and for the most part they make me dizzy but they do provide a unique viewing angle. First i needed a case. My requirements were that it needed to fit snuggly around the camera so that I could get a steady shot, had a “belt loop” so that I could run Velcro straps through it. It did not need to be waterproof since my video cameras already have that feature. My first thought was to run to the store, pick up a camera case, and cut a hole through it for the lens, and be done with it. After searching through the camera cases it became apparent that I wasn’t going to be able to find a tight fitting case with a belt loop. 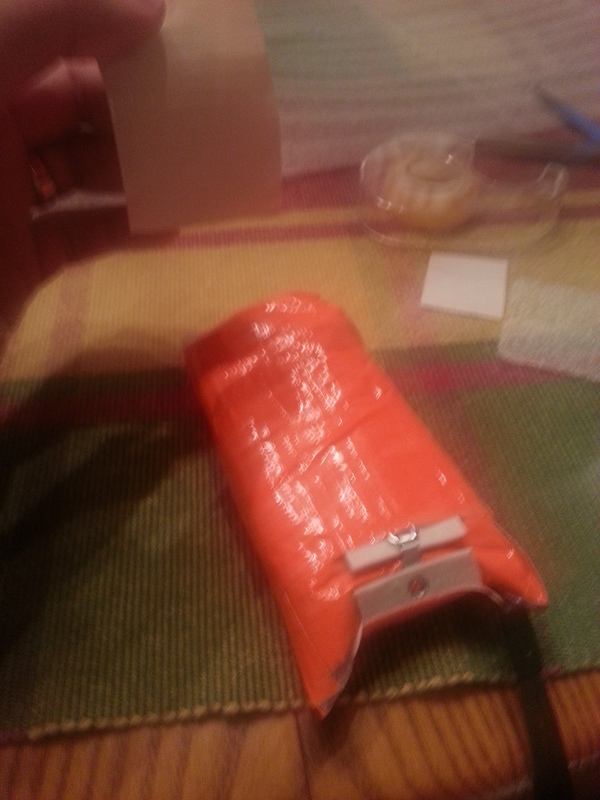 Sooo… I decided to make my own case out of duct tape. Step 1: Wrap your camera in a single layer of packing foam or bubble wrap and tape down with clear tape. This will give the duct tape something to stick to besides your camera and will provide a little shock protection. Step 2: Wrap Duct tape around your entire camera everywhere except for the opening where you want to have access to your camera. 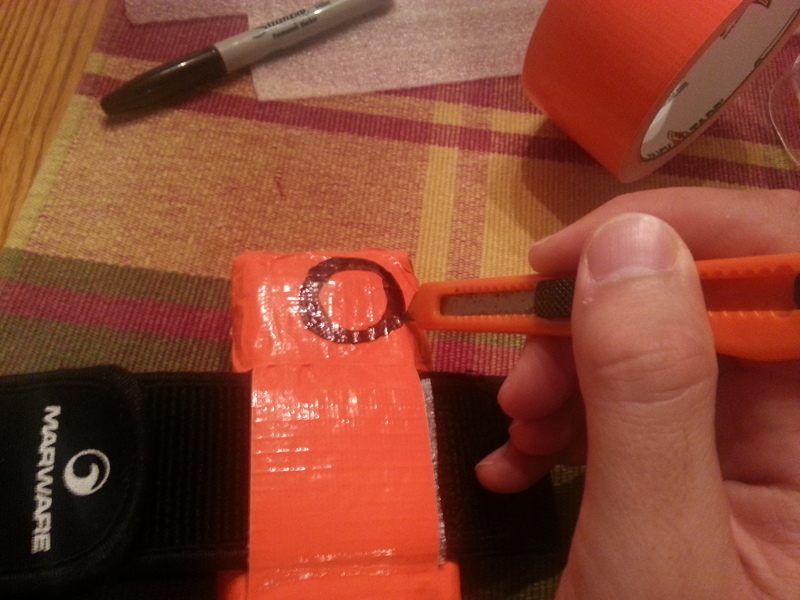 Step 3: Determine where you want to put the “belt loop” that you will use to secure the camera to your kite. Step 4: Cut pieces of packing foam to the same size as the strap that you will be inserting through the belt loop. Step 5: Lay the strap in position across your camera and put the packing foam in position on top of the strap. 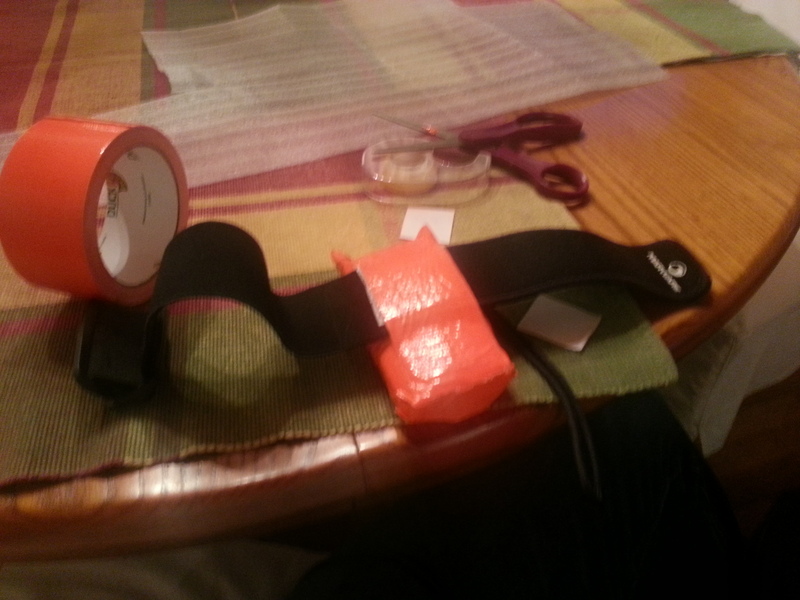 Step 6: Put several layers of duct tape over the packing foam to create the belt loop. Your case should look something like this after making the belt loop. 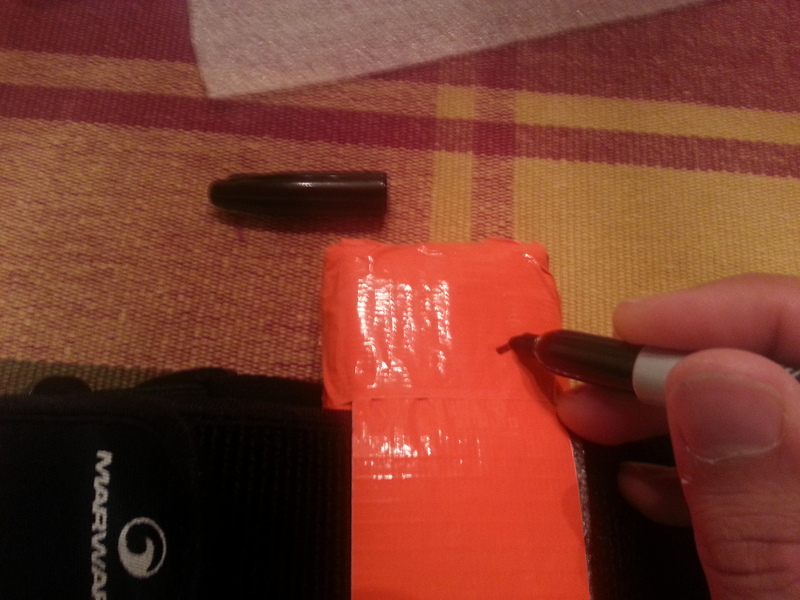 Step 7: Outline the location of the camera lens with a marker. If you use a thin packing foam it is easier to locate the lens through touch. Step 8: Take your camera out of the case and use a razor blade to cut out a hole for the camera lens. Take your camera out of the case before cutting! That’s it. You are done. You may also choose to secure the case opening with an eye and hook like you see in my pictures but I’ve found that the camera case is so snug that it isn’t necessary. I found a cheap eye and hook at Walmart and just duct taped the crap out of it. The camera should fit snuggly inside the case. The packing foam allows it to slide easily. Mount the camera on your center strut and get ready to take some dizzying video. You may need to put some additional foam under your camera on one end or the other to change the angle and make sure that you stay in the shot. Also make sure that your kite valve and everything else is secured on your kite so that they don’t fly around in front of the lens and obstruct your shot. Previous Post Kiteboarding Season is Here!